• Follow-up visits and courtesy calls by our Quality Inspection Specialist to ensure every installation meets the highest standard. Wooldridge has a team of certified technicians who provide free consultations and follow regulated installation requirements. 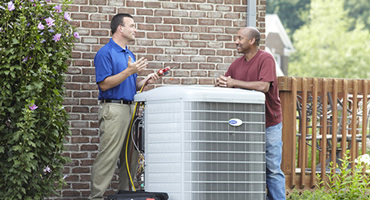 We ensure that your HVAC repairs, services and electrical work are done efficiently and properly. We are grateful to Wooldridge for giving us a second UV light to make our home safer for our daughter, who’s bone marrow transplant left her immune system very weak. Your kindness will never be forgotten. I truly believe Wooldridge’s generosity is part of the reason why our daughter avoided many infections or other problems. We couldn’t do this without you. Thank you. I have enjoyed my air conditioning this summer; it has been more than perfect! Mr. Wooldridge and his team are very nice and I give them an A++. Wooldridge saved me time and money by helping me with a minor problem over the phone. Most companies would insist on sending someone out smallest of problems, inconveniencing and costing everyone. Wooldridge’s technicians did an outstanding job installing my new generator! They were punctual, professional, detailed and cleaned up their mess. They represented Wooldridge well and did everything Wooldridge promised. I will submit a high recommendation to Angie’s List online! I have always trusted Wooldridge in solving my furnace problems. Each team member explained what was done. They’re friendly, courteous and knowledgeable. They introduce themselves, supply credentials and always explain what they’re doing. Thanks to Wooldridge for hiring good quality personnel! The Wooldridge technicians were polite and knowledgeable. They got the job done right. I couldn’t believe the Wooldridge technician’s attention to detail. He did a wonderful job on the maintenance of my oil furnace. I have never seen any other company do such a thorough job. He was knowledgeable and explained what was needed to maintain my furnace. I called Wooldridge about an emergency before 8:00am and a technician came out right away to fix the problem. He was thorough, accommodating and very professional. His quick response helped me avoid a potential disaster. 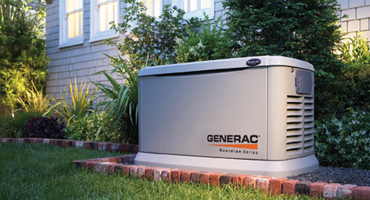 The gentlemen involved in installing my generator and HVAC systems did a fantastic job and were very professional. I own my own business and really appreciate great work. I was away from home during part of the job and everything was handled professionally. From start to finish our encounter with Wooldridge has been AWESOME! Our service technician Randy was terrific, knowledgeable, and confident about what he had to offer. The installers A.R. & Patrick were wonderful & made sure we were satisfied & informed.